One day after officially taking the helm of Airbus and taking over from Tom Enders as CEO of the European OEM, Guillaume Faury revealed his executive committee, which now includes 12 members—including two women, double the number that served on the prior committee. The elimination of the position of president of Airbus Commercial Aircraft, the group’s most important business unit, stands as the most notable change, however. Faury held that position until April 10 and now will perform its duties while serving as CEO of Airbus. Faury formally became CEO of Airbus at the company’s annual shareholder meeting on Wednesday, though the company had already announced his promotion to the top spot last year. Newcomers to the executive committee include Jean-Brice Dumont, who moves up from executive vice president of engineering at Airbus Commercial Aircraft to the same position at the group level, and Julie Kitcher, formerly head of investor relations and financial communication and now executive vice president communications and corporate affairs leading all external and internal communication activities. Kitcher also became Faury’s chief of staff and will steer and coordinate the transformation agenda of Airbus and manage audit, performance management, responsibility and sustainability, and environmental affairs. Kitcher takes over from Rainer Ohler, who is leaving Airbus after 24 years at the company. As previously announced, Dominik Asam sits on the committee as CFO, replacing Harald Wilhelm, who moved to carmaker Daimler, and Michael Schöllhorn as COO. Grazia Vittadini remains chief technology officer, Thierry Baril continues as chief human resources officer, John Harrison as general counsel, Christian Scherer as chief commercial officer, and Philippe Mhun as executive vice-president for programs and services. 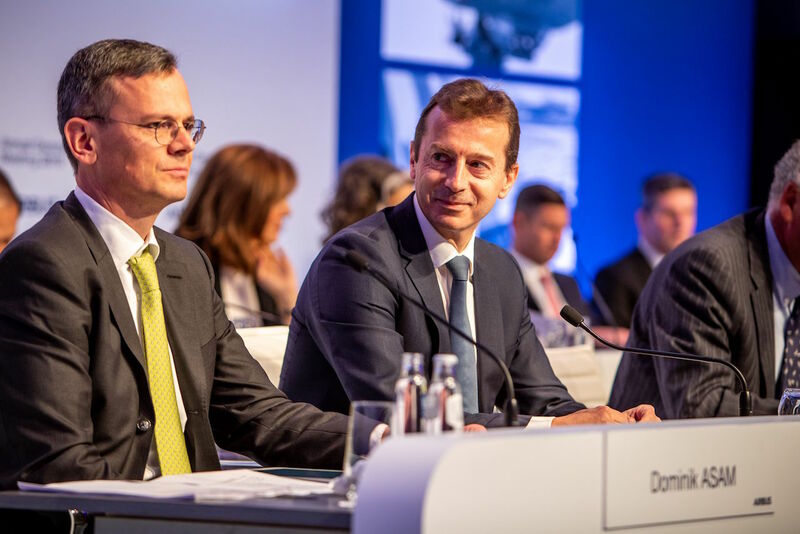 Airbus Defense and Space CEO Dirk Hoke and Airbus Helicopters CEO Bruno Even also serve as members of the executive committee. Future changes to Airbus governance include the departure of Denis Ranque as chairman of the Airbus board of directors in 2020. René Obermann will replace him at the company’s AGM next year. The switch of a French to a German chairman coincides with the replacement of Enders, a German national, as Airbus CEO with Faury, a French national.